Ever since Consuelo Morales was a small child in the northeastern metropolitan city of Monterrey, Mexico, she says she remembers feeling the unceasing urge to help others. She quickly learned doing so is what made her the happiest. One day, when she was in elementary school, Morales recalls encountering some poor children who didn’t have any shoes. Her mom was shocked when she got the bill later on. What also surprised her mom, Morales says, is when she was a little older and decided to become a Catholic nun. 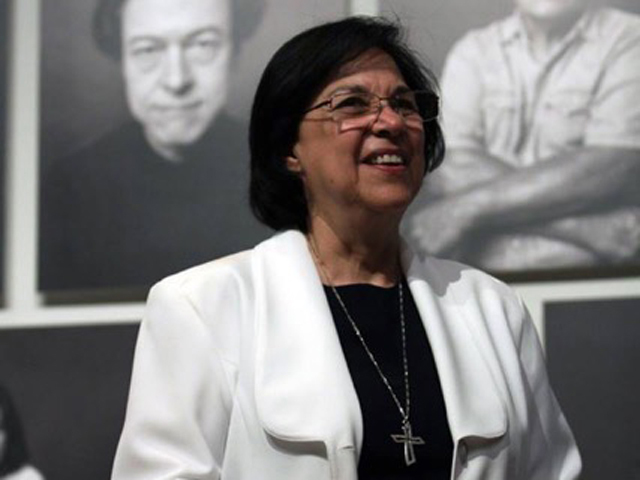 Morales spent many years working to help indigenous communities and children in Veracruz and Mexico City, and she returned to Monterrey in 1992, when she heard her home city was in dire need of help – from abuse in state-run orphanages to the forced displacement of people from their lands. 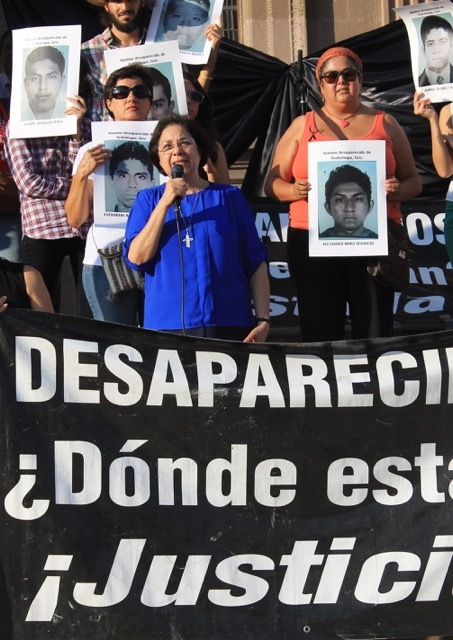 It was then she helped found Citizens in Support of Human Rights (Ciudadanos en Apoyo de Derechos Humanos, CADHAC), and she has devoted her life to that cause for the past two decades. Her work has been especially challenging from 2007 through 2012, she says, when the drug war started to reach a peak and the narcos started killing and kidnapping innocent members of the community. She has served as a support system for family members of the victims. According to the latest figures, it has taken the lives of nearly 23,000 people – and counting. Morales, now 67, still arrives at CADHAC around 8:30 am every morning. Throughout the day, she has appointments with people needing help with justice or violent situations. Most recently, Morales is one of the protagonists of a documentary film, “Kingdom of Shadows,” which speaks about the consequences of the U.S. – Mexico drug war. “We all are involved in this, and we have to give the little we have to support and make a change in this situation,” she says. What advice about life would she give her younger self with the wisdom she now has at this age?